In our article ‘Chromebook Issues‘ we covered a list of points you’ll need to consider before you step into a purchase. This article takes the opposite tack and highlights the advantages of using a Chromebook. Some are obvious, others are not so obvious. Some advantages apply to organizations, others to individuals. Let’s start with the big one – security. Chrome OS has been designed from the ground up with security in mind. The OS is checked on each boot, applications runs within ‘sandboxed’ containers inside the browser and updates are automatic. There’s less code in the operating system compared to other PC operating systems and the code has been peer-reviewed in an open way. Chrome OS is easy to reset, easy to re-install and there’s a guest mode that removes everything once the user has logged out. Files stored in the download area are encrypted. Files on an SD card are not encrypted. Chrome OS is a multi-user system (not concurrent) with per-user controls and, for business users, an administration module that can lock-down devices. A ‘remote kill’ capability is rumored to be coming to the Chrome OS. There’s no guarantee that Chrome OS is virus-free but given the security controls, lack of attack vectors and the minimal amount of personal data available Chrome OS remains a lower-priority target for hackers. Given the amount of data that a single user could store in the cloud, however, it might become attractive in the future. While the user interface will look basic and restricted to some, for others the UI is perfect. There’s a single page of settings and few drop-down menus. Assuming a user has a Google account the first-login process is quick and simple. Bookmarks and passwords are synchronized from Chrome browsers on other operating systems if Chrome has been used before. 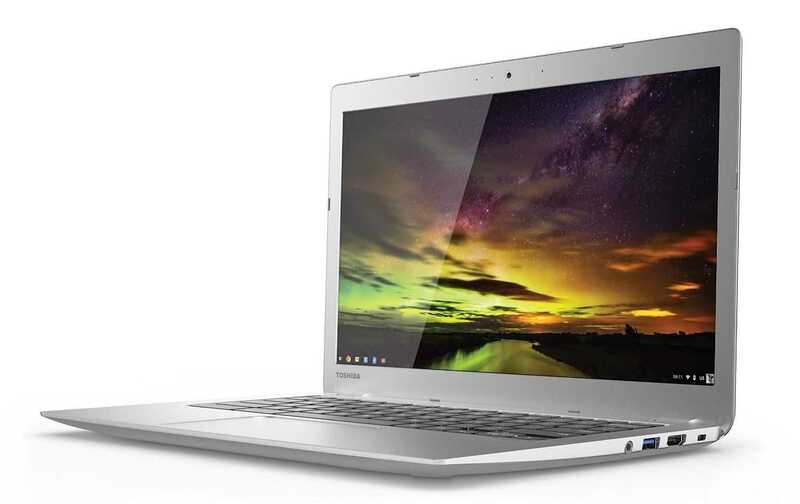 Chromebooks are offering some of the best value computing in the laptop market. The price of Windows laptops is reducing but manufacturers might be reluctant to reduce prices too much due to the perceived higher value of Windows laptops in many markets. In business markets where the cost of software, training, data backup, management and support will outweigh the cost of the hardware the costs are vastly reduced. Google has a TCO calculator for Chromebooks here. For non-educational or business users Google has a suite of (mostly ad-supported) applications. Google Drive offers storage (free 100GB for most Chromebook owners,) Google Music offers music library hosting, management, streaming and shopping. A suite of office-related apps includes integrated collaboration. While other operating systems can also offer free storage and web-based software it’s arguable that the Google suite is better suited to the average user. Offline use is possible in most cases. A small operating system footprint, optimised boot process and faster storage allow Chrome OS to be ready for use within seconds. These fast-boot features can also be found on Windows PCs but, in general, at a higher price. There’s no need to ‘defrag’ a Chromebook, clean temporary files, empty wastebins or perform any sort of regular disk maintenance operations. A Chromebook is likely to stay fresher for longer than a Windows notebook. ‘Power Wash’ allows a Chromebook to be reset to first-use settings in a very quick time and because data is not stored locally, there is no need to backup a Chromebook before resetting it. This ‘reset’ process allows Chromebooks to retain their performance over time and is useful in educational establishments where laptops can be reset quickly and often. If permitted in the settings, Chromebooks offer a simple guest mode. After logging out, all data, cookies and temprary files are removed. Updates happen automatically in the background as with Windows but as there are no additional applications to be updated apart from the OS and browser, the operation is quicker than on other desktop operating systems. Where schools and colleges are looking to introduce e-learning solutions into the classroom the Chromebook has a huge amount to offer. Google Apps for Education and the Google Classroom offers an easy trusted environment for teachers and pupils in which they can learn, create and collaborate.